Barry's Response - Thank you Ashrat. 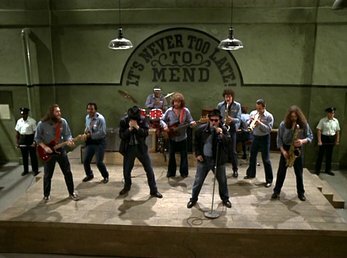 I wouldn't exactly compare a prison (depicted in the scene from the Blues Brothers you attached) to a nightclub. It's one of my favourite movies. It does show that music can happen anywhere.